Jason Latimer has spent his entire life wondering about one question, “What is possible?” In the pursuit of answering that childhood question, Latimer’s ongoing education spans multiple fields including mathematics, applied physics, chemistry, perceptual psychology, and economics. Latimer’s quest for knowledge has led to an entirely new paradigm unites science and magic. As a magician, Jason’s performances are unprecedented with seventeen consecutive championship titles and awards for his work, including the highest honor the world of magic can bestow on an individual, the title of “The Grand Prix ‘Best Overall’ World Champion of Magic,” and the title of series champion of the BBC One’s six live specials, “The Magicians.” His unique background in science has made Latimer “one of magic’s most gifted creators” (Genii Magazine). On SyFy channel’s hit series “Wizard Wars,” Latimer sat along with the legendary magicians Penn and Teller as one of three judges on innovation and creativity. In science, Latimer is the “Curator of Impossible Science” of the Reuben H. Fleet Science Center in San Diego, CA. There, Jason continues his research in science on impossible topics while further developing his curriculum that inspires wonder in an academic environment. This year, Jason’s Impossible Science Initiative has been expanded to learning centers all over Southern California including the Discovery Cube Los Angeles, City of Downey’s Columbia Memorial Space Center, and Discovery Cube Orange County. Using his illusion design to inspire how’s, why’s, what if’s and why not’s, Latimer has created a way to nurture wonder, “See Beyond the Illusion of Knowledge” (Jason’s TEDxTalk), and show how the right question changes everything. Jason’s work in science and technology caught the attention of the pop culture phenomenon Comic Comic International and Lionsgate’s new premium digital platform Comic Con HQ. 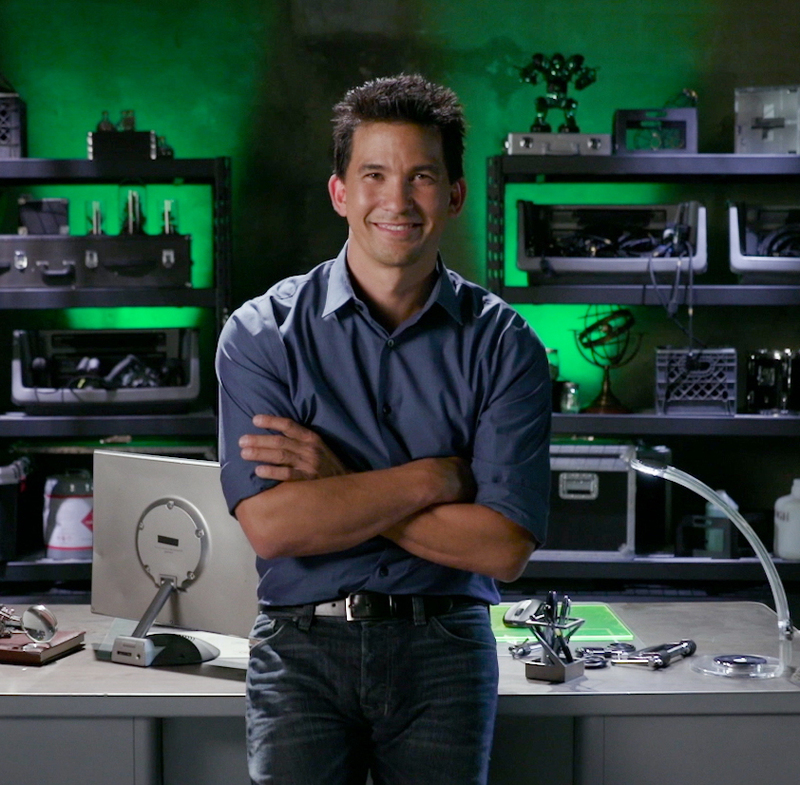 Jason is the host of Comic-Con HQ’s original series “Impossible Science.” A series that follows Latimer’s work at the science centers and showcases “impossible” science fiction topics that are now being brought to life by scientists and engineers that have asked the right question and challenged impossible.